I could directly quote the previous review for this part. Again, Official Hero Book 2 seems higher quality than Hero TV Fan vol. 2. This time there’s an extra surprise hiding under that glossy jacket of Official Hero Book 2: design sketches and even Origami Cyclone. 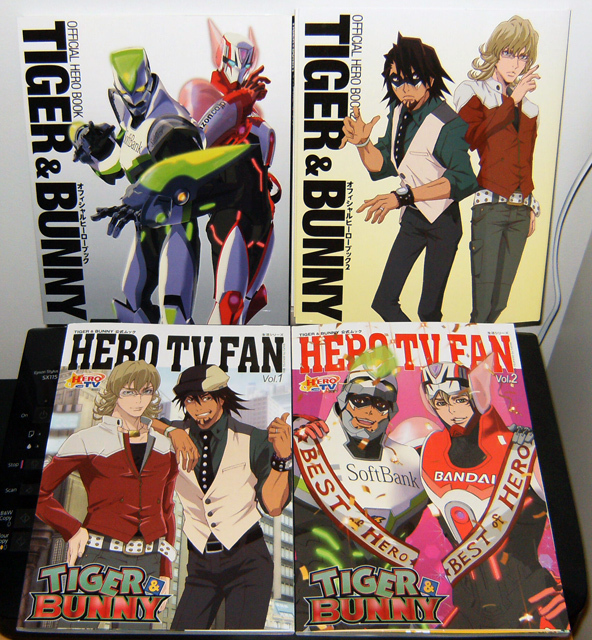 Just like the first volume, Hero TV Fan vol. 2 is printed like a Western book, so it reads from left to right. 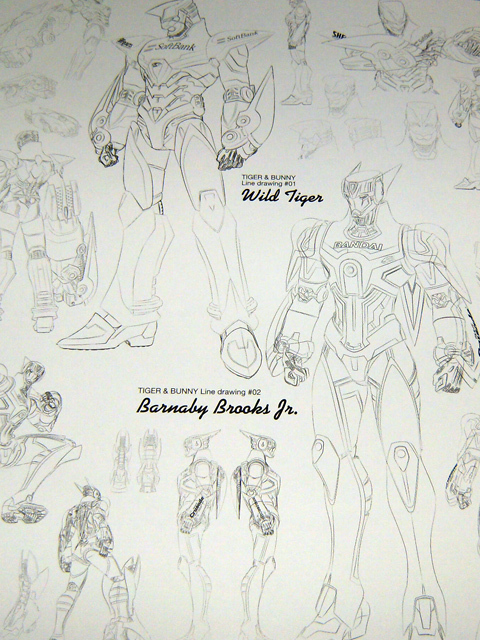 Sketches under the jacket of Official Hero Book 2. 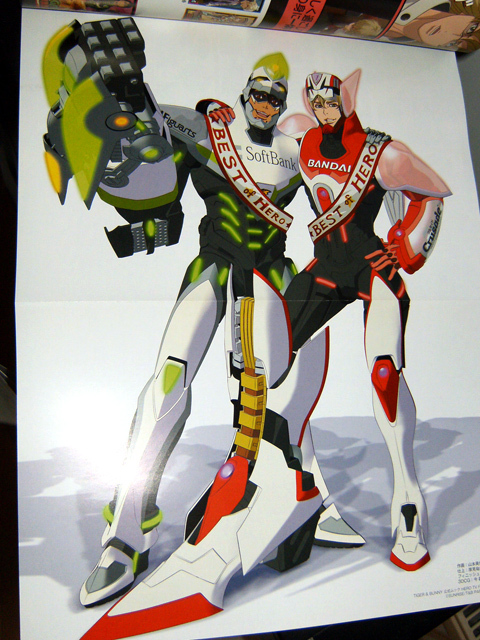 Poster in Hero TV Fan vol. 2. The layout is the same as with the first books. 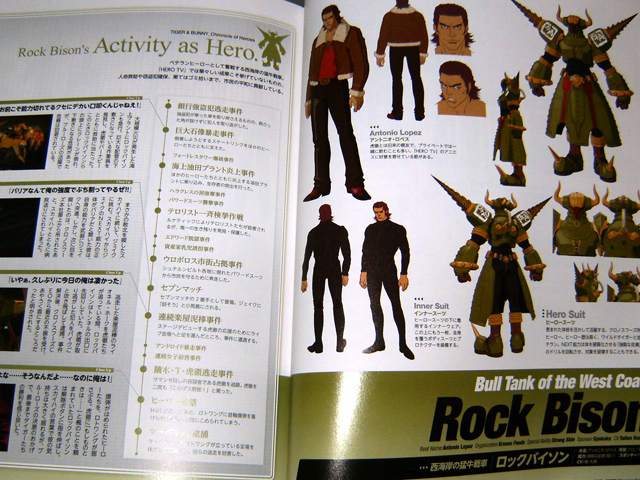 Official Hero Book 2’s content is divided in clear sections while Hero TV Fan vol. 2 sort of bounces from topic to topic every few pages. I found Official Hero Book easier to read. 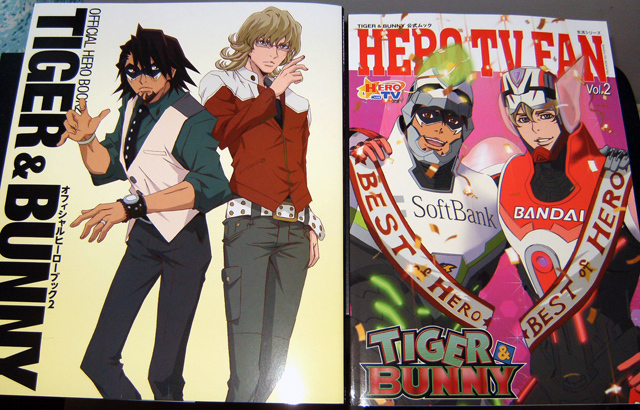 There’s a (rather small) poster with Hero TV Fan vol. 2 with same picture as on its cover. Official Hero Book 2 has more Engrish typos than the first volume, but Hero TV Fan vol. 2 has shaped up and I didn’t notice anything that’d actually make me cringe. 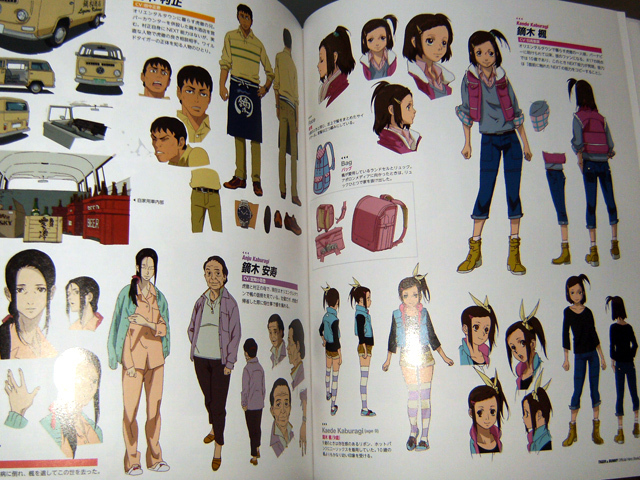 The character pages feel kind of supplemental to the ones in the first volumes of these books. There’s less art for each hero, but Official Hero Book 2 has a record of activity for them that spans both cours of the anime. 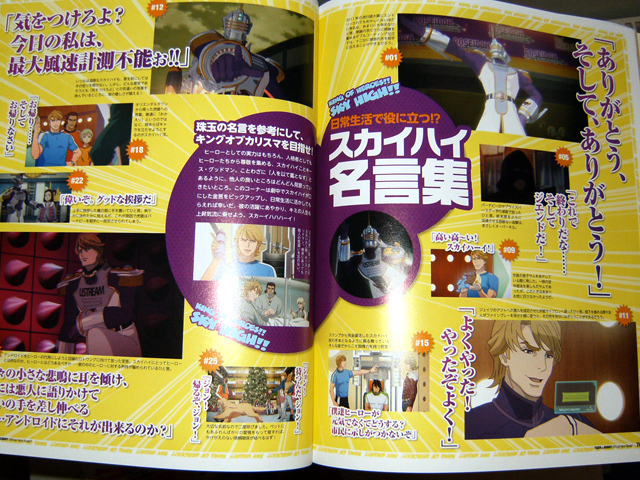 Official Hero Book 2 spends four pages each for Kotetsu and Barnaby, two pages for the other heroes and Lunatic and his blue frames.The side characters get 12 pages with pretty good reference pictures. I am so so sorry, Antonio. I giggled when I saw they managed to fill a whole page with your hero activities. Forgive me! Hero TV Fan vol. 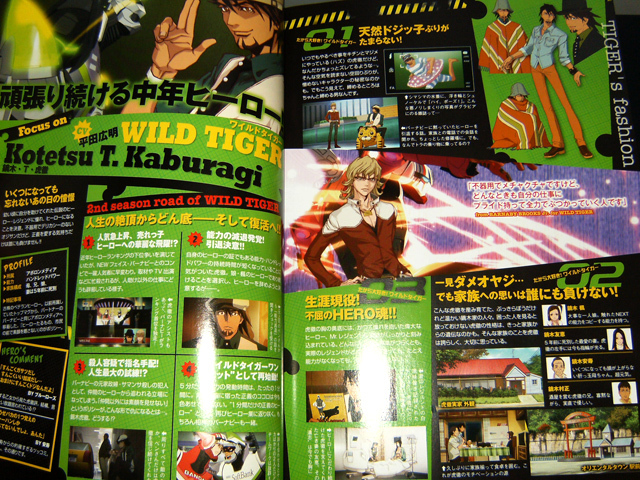 2 gives Kotetsu and Barnaby two pages each and one page each for the other heroes, and also has more detailed focus on the side characters. 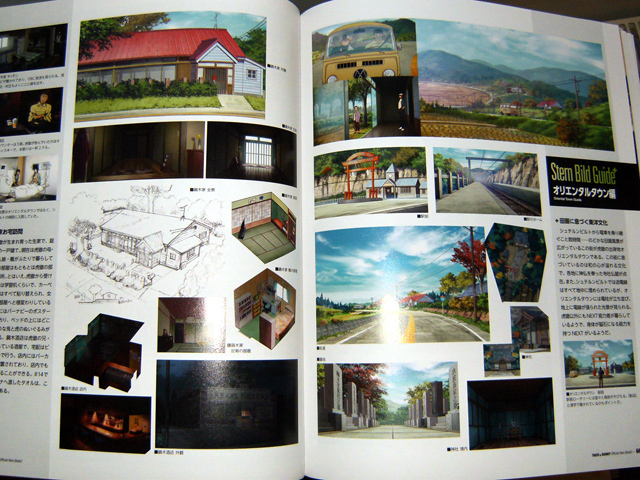 There are seven pages for side characters. 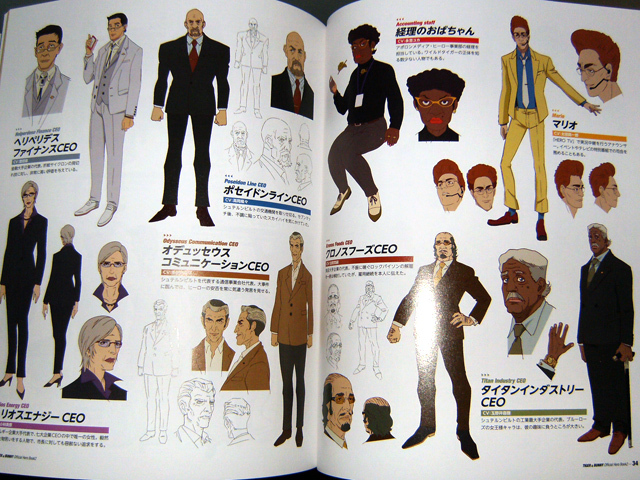 Character pages winner: Other books have better character art references, but the reference pictures for side characters in Official Hero Book 2 are good. Hero TV Fan vol. 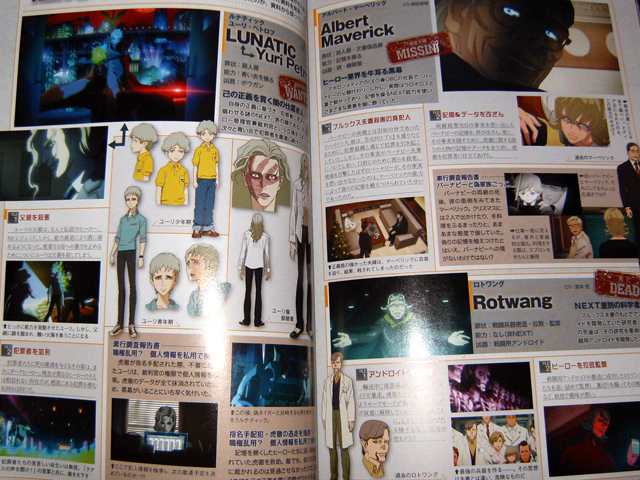 2 just has a map of Sternbild and some short blurbs on locations, two pages. 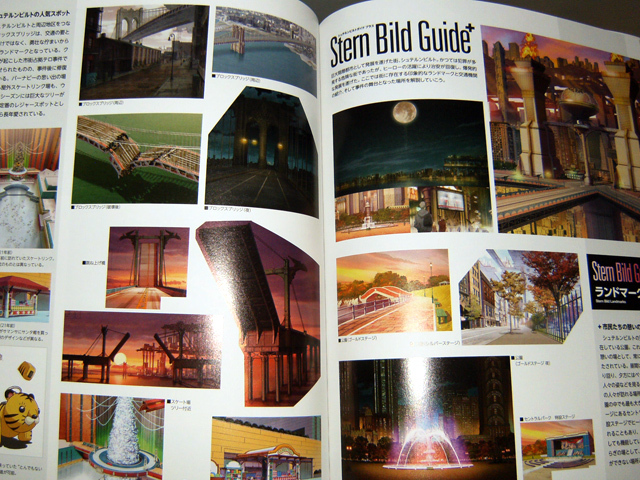 Official Hero Book 2 has a Sternbild Guide+ similar to the guide section in the first volume, with eight pages of setting pictures and sketches. 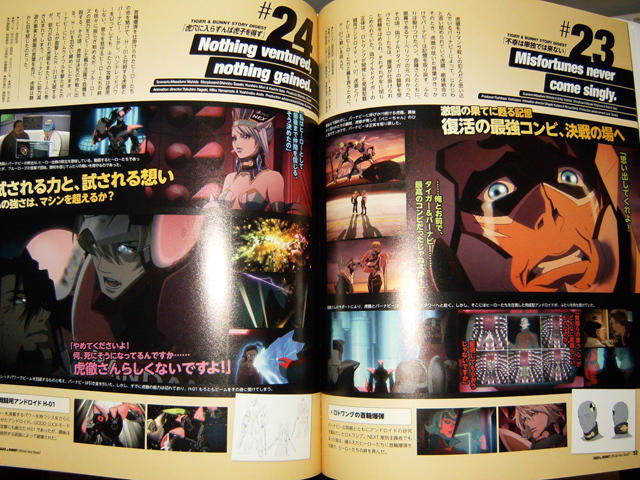 The story guide spans the second cour of the series, episodes 14 to 25. Official Hero Book 2 gives one page for each episode, plus 2 pages for OP and ED. Hero TV Fan vol. 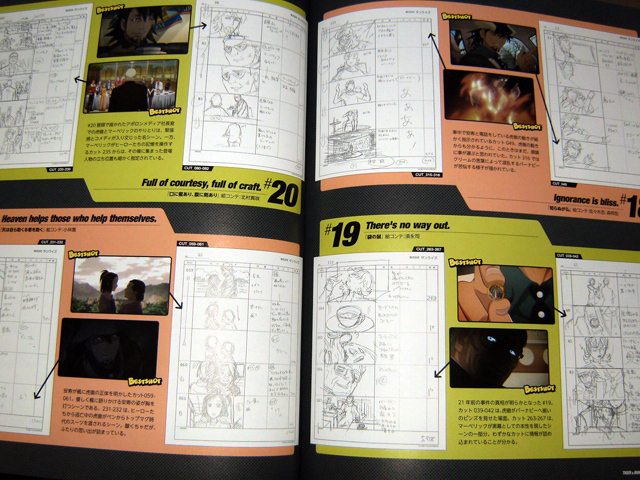 2 has two pages per episode including comments from screenwriter Nishida Masafumi for each episode. Both books list the main staff for the episodes. Hero TV Fan vol. 2. 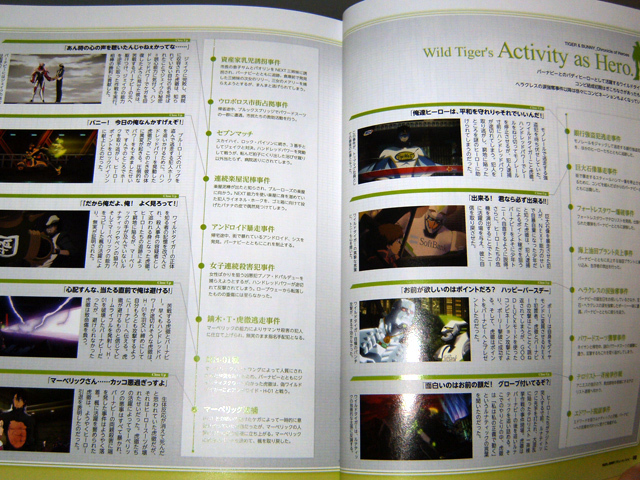 Story Guide winner: I liked the guide section in Hero TV Fan vol. 2 more. There are more pictures and it feels that they spent more effort in it. 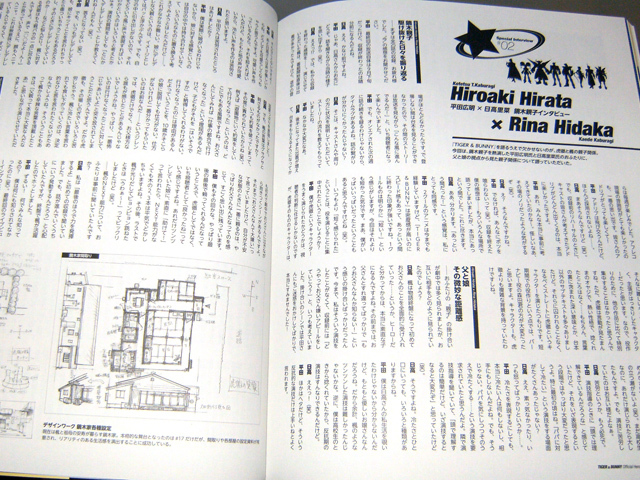 Official Hero Book 2 has a four page interview with director Satou Keiichi (4 pages), three page interview with Hirata Hiroaki (Wild Tiger) & Hidaka Rina (Kaede), and six pages of mini interviews with the main cast (all eight heroes and Lunatic) and sound director Kimura Eriko. 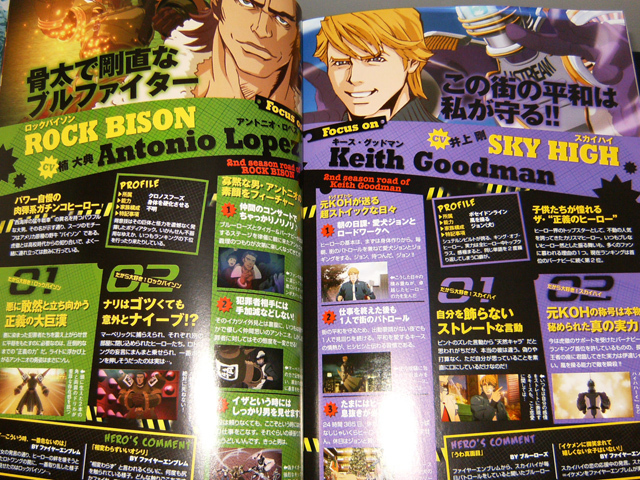 The interview pages are again text heavy and a quite dull compared to the colourful ones in Hero TV Fan vol. 2. 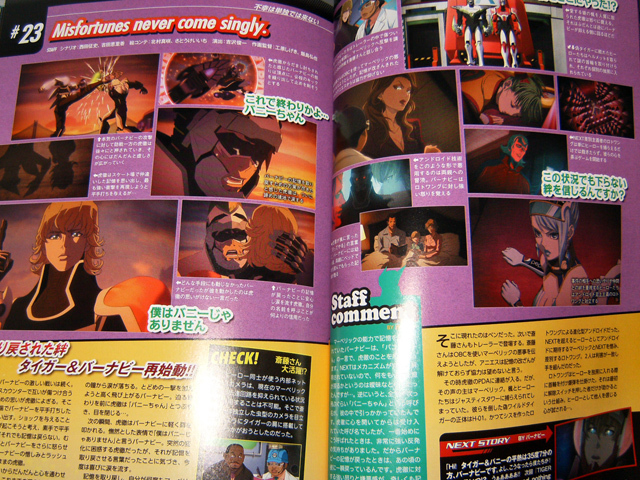 Interview sample from Official Hero Book 2. I haven’t been able to get the most recent magazines, so I’m not sure if some of these interviews are reprints. Interview sample from Hero TV Fan vol. 2. Interviews winner: Hero TV Fan vol. 2, but I confess that I’m a fan of Morita and I really loved the photos with the seiyuu interview. 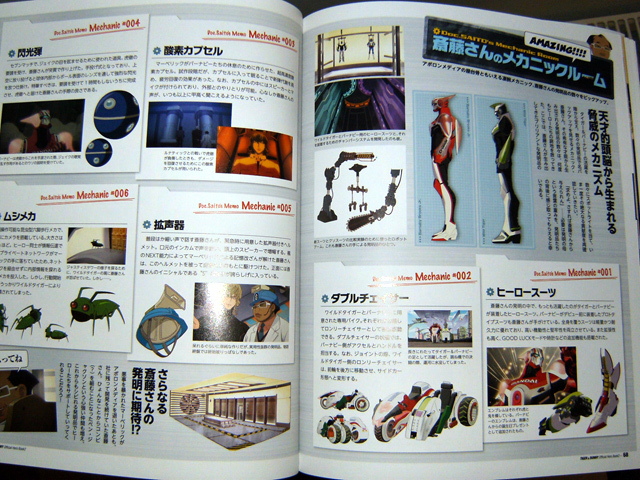 Tables have turned, Doc Saito’s machine guide is in Official Hero Book 2 this time, spanning two pages. 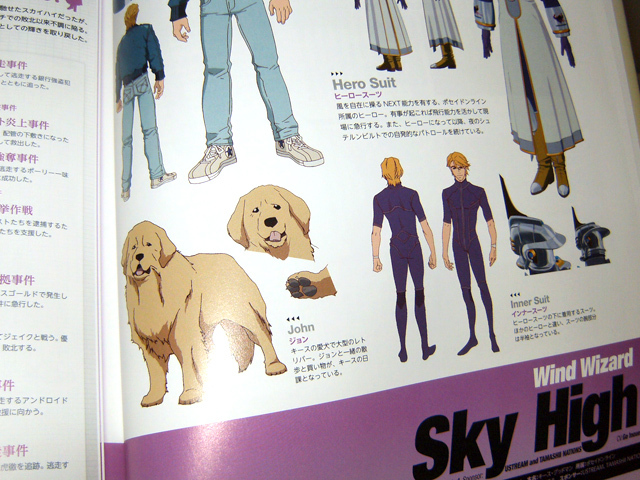 There are two pages of Sky High’s best sayings, and Origami Cyclone spotting and Scarf-tan pages are included again. Storyboard section has the best cuts from each episode. There’s also a quick recap of the first cour. Hero TV Fan vol. 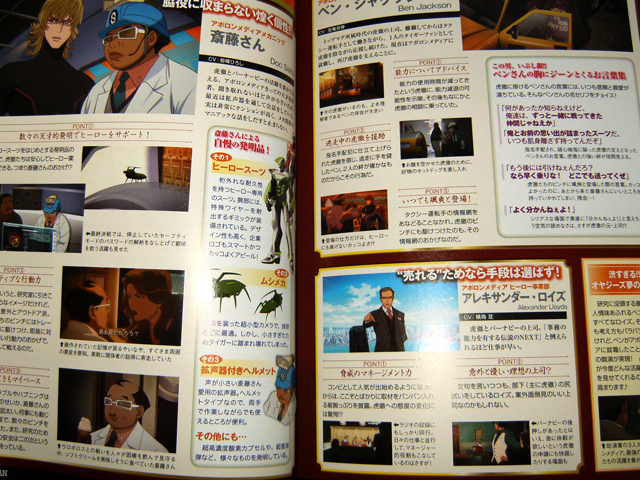 2 has a “mood graph” for Kotetsu and Barnaby, tracing their state through the 2nd cour. 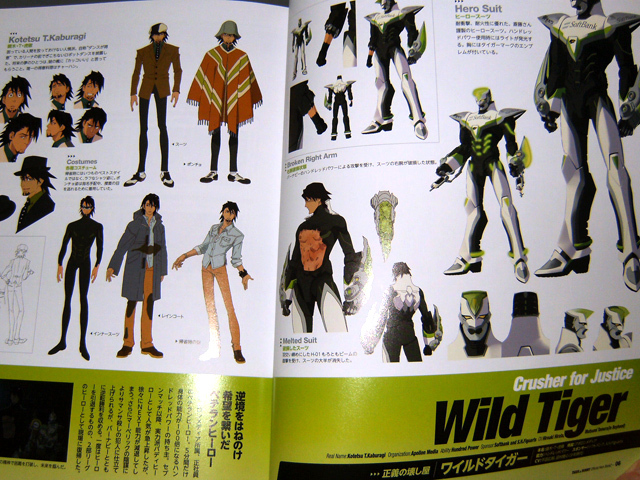 There’s a special illustration of Kotetsu and Barnaby by character designer Hayama Kenji, and a two page “creation archive” which is just a collection of character sketches. 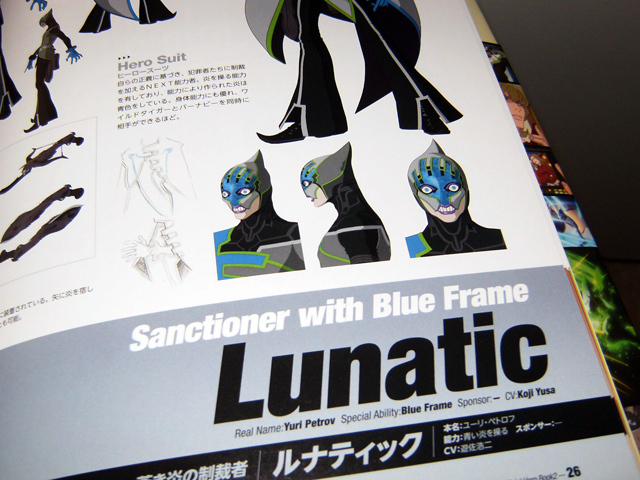 The Tiger & Bunny Mystery Files (one page) include even Scarf-tan. 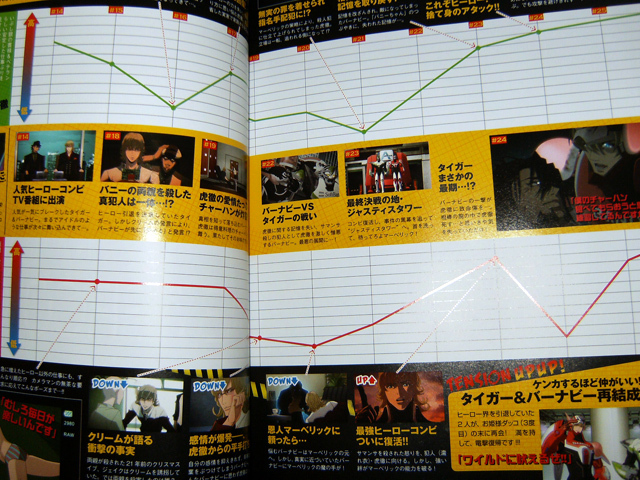 Mood graph from Hero TV Fan vol. 2. Other features winner: I liked the extra stuff in both books, but I think Official Hero Book 2 has the better ones. Both books (again) have content I liked, but overall I prefer Official Hero Book 2. It’s more pleasant to the eye, feels easier to read and more coherent. If Hero TV Fan vol. 2 wasn’t so “noisy” with its layout I’d pick it in a heartbeat, though, because the content is good. I think the choice of which one you’ll want to get is also down to which one (if not both) you got of the first set. If you don’t own any official books yet and only want to buy one, I’d recommend getting either Hero Gossips or Roman Album because they cover both cours of the anime. It seems that Hero TV Fan vol. 1 has gotten a reprint so if you missed it now’s a good chance to grab both for your collection. That’s it for official books for now! There’s plenty more manga still coming out, but no more source books have been announced. Having six source books and an artbook out already seems like a bit of an overkill, but at least there’s a lot to choose from depending on your interests. Hi I love you forever for these previews. Thanks for the review, as always! …Too true. Somehow T&B stuff is just irresistible.